Today Isuzu Motors South Africa reflects on the achievements and progress the company has made, a year after its official launch. Isuzu’s investment in South Africa preserved 1000 direct jobs and secured around 4000 jobs through its network of 80 dealers in South Africa, and 35 dealers in Sub-Saharan Africa. Isuzu also ensured the continuity of business with around 430 direct and indirect suppliers; while managing its smooth transition to new operations and to a new dealer network. Furthermore, Isuzu’s dealer network also went through major changes in line with its dedicated focus of providing the right solutions to light commercial vehicle, SUV and commercial vehicle customers. “As we look towards future growth, Isuzu is keen to play its part in the economic development, growth and transformation of South Africa along with our customers, dealer network and partners. As a company we experienced a wave of positive change throughout the organisation both operationally, strategically and in the market place,” said Isuzu Motors South Africa CEO and MD Michael Sacke. In 2018, Isuzu expanded its product portfolio in Southern Africa through the addition of the new SUV competitor, the Isuzu mu-X. The 40-year-old KB bakkie’s name changed to D-MAX, aligning to the global naming convention with a new, enhanced D-MAX hitting the market at the same time. For the first time in 2018, Isuzu became the highest volume selling truck brand in South Africa. Additionally, Isuzu has occupied the number one position in the medium-and heavy-duty commercial vehicle segment of the South African market for six years in a row. “Isuzu secured the commercial vehicle market share of 14.1% in 2018, while Isuzu D-MAX sales volumes were up over 8.7% compared to the previous year -achieving a market share of 14.4%. Overall, we are very pleased with these sales figures in the first year of operations for Isuzu Motors South Africa,” said Sacke. From a Sub-Saharan African exports perspective, Isuzu Motors South Africa’s sales increased by 17% in 2018, compared to the previous year. “Continuing to provide outstanding after sales and customer support, we are planning another robust year in 2019; which started with the consolidation of Isuzu Motors South Africa’s Truck and Bakkie plant. 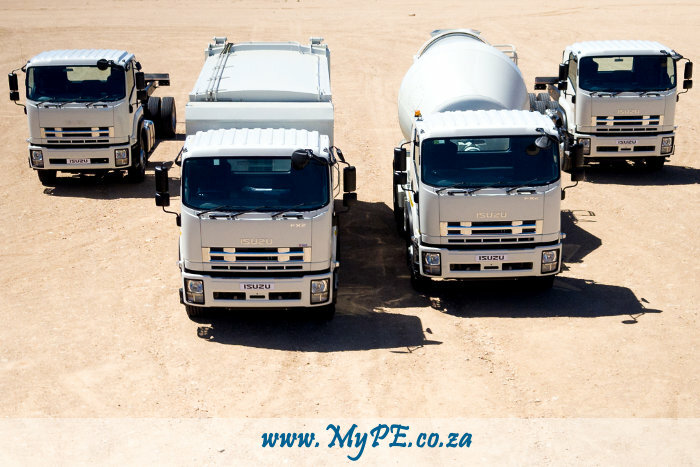 This represents a key milestone for the company with the assembly of our market-leading commercial vehicles commencing at its new site in Struandale,” said Sacke.